We are beyond excited to collaborate with Tracie of the Grocery Girls! 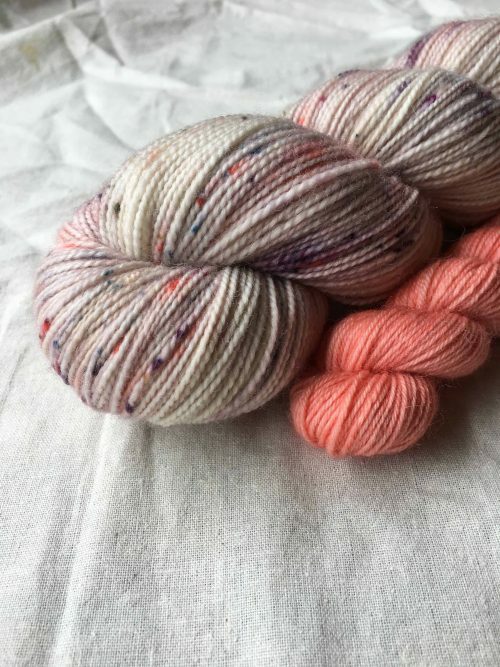 Tracie has designed her Hello Sunshine Socks using our BFL yarns. High twist 2 ply for the cables and texture and 2 ply higher nylon content for the heels and toes. Circus Tonic Handmade Dathliad BFL Sock is an 80% Superwash Bluefaced Leicester and 20% nylon yarn. 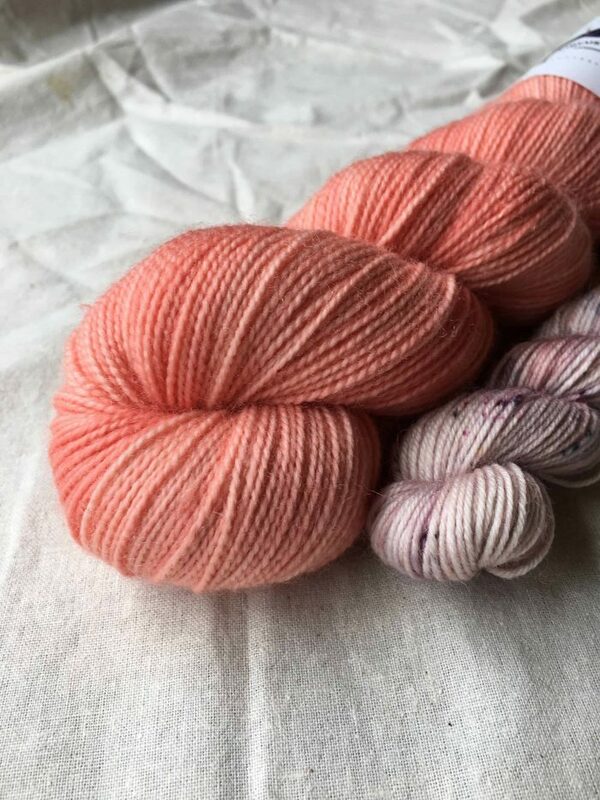 A nice high twist gives this beautiful sock yarn extra strength and a lovely stitch definition for intricate patterns. 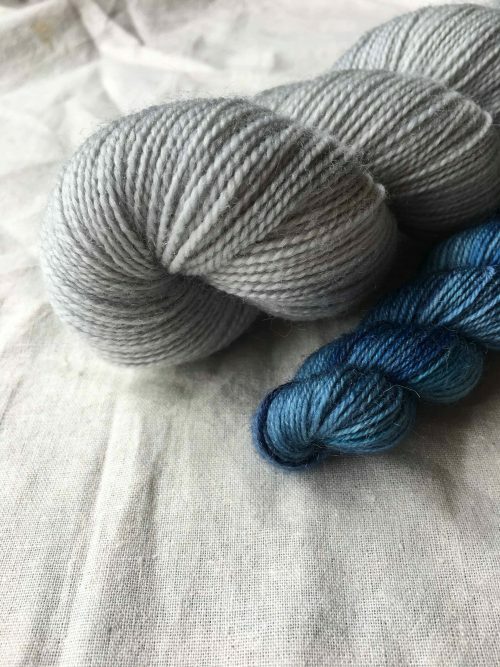 Although a good, traditional hardy choice, this yarn is still soft and luxurious. 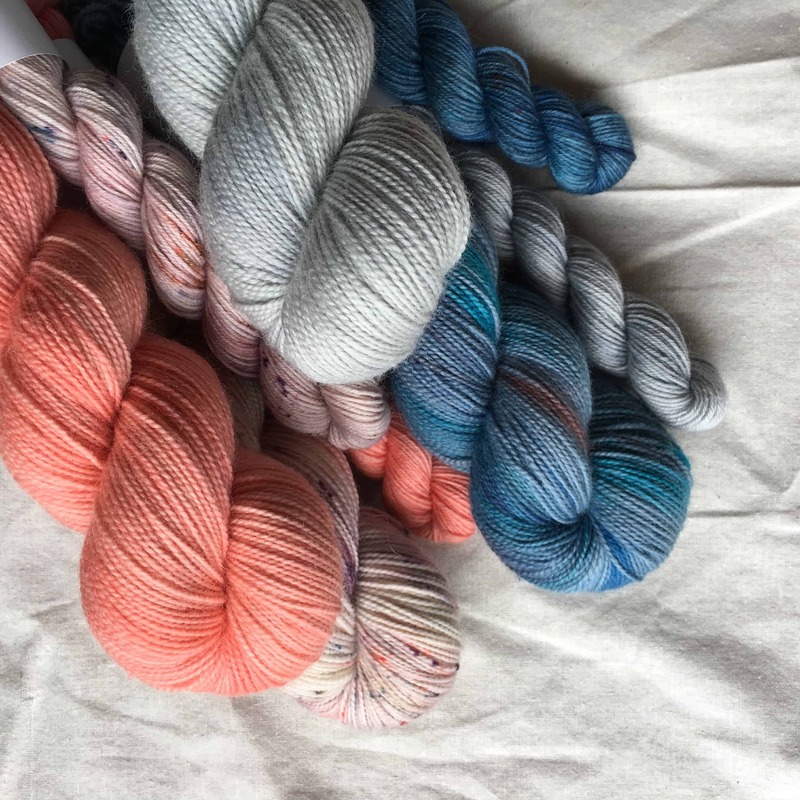 The mini skein in the sock sets are a 75/25 BFL nylon 4ply yarn. 399 yards/365 m per 100g. 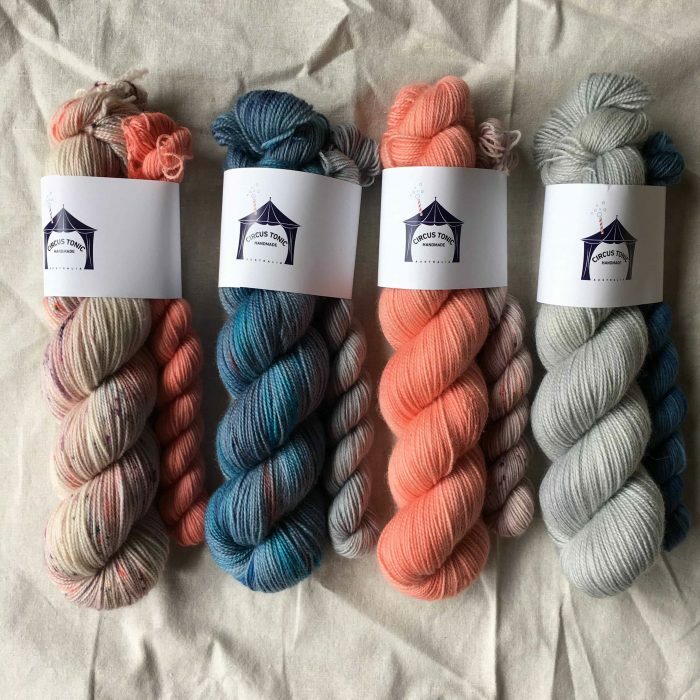 Full skeins are approximately 100g and minis are 20g. Please note shipping from Australia may take some time! It’s worth the wait!